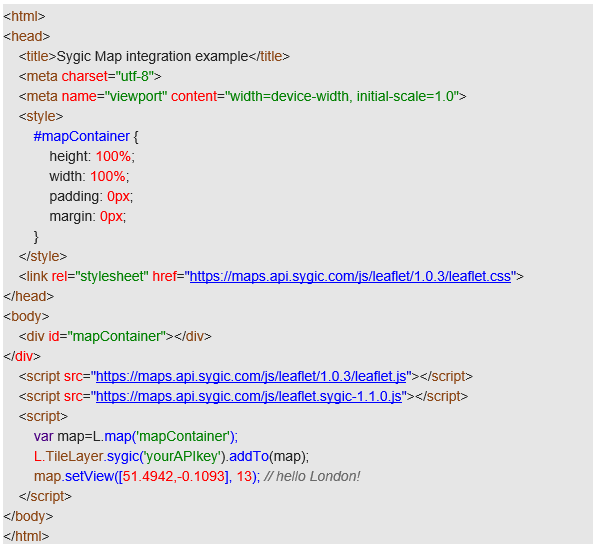 Following code will create a full HTML page displaying Sygic Map centered around the London. With Leaflet, almost anything is possible. To explore all the possibilities, feel free to visit leafletjs.com/reference-1.0.3.html and start enhancing your freshly created map with custom content. Sygic Maps API will be officialy launched at Transport Logistic trade show in München. Visit our booth number 514 in Hall B2 to see more.